Great location, convenient to town! New carpet in bedrooms and laminate throughout rest of house. Back private wood deck. New paint inside. Public water and sewer. House is located next to a city maintained street. This house is Move in ready! Oversized 2 car attached garage with private concrete driveway! New landscaping surrounding house. Call listing office or agent for more details. 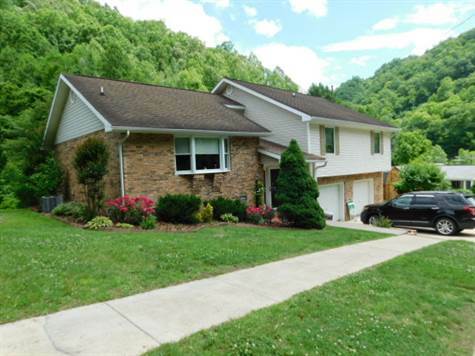 Listed by Hatfield &McCoy Realty.